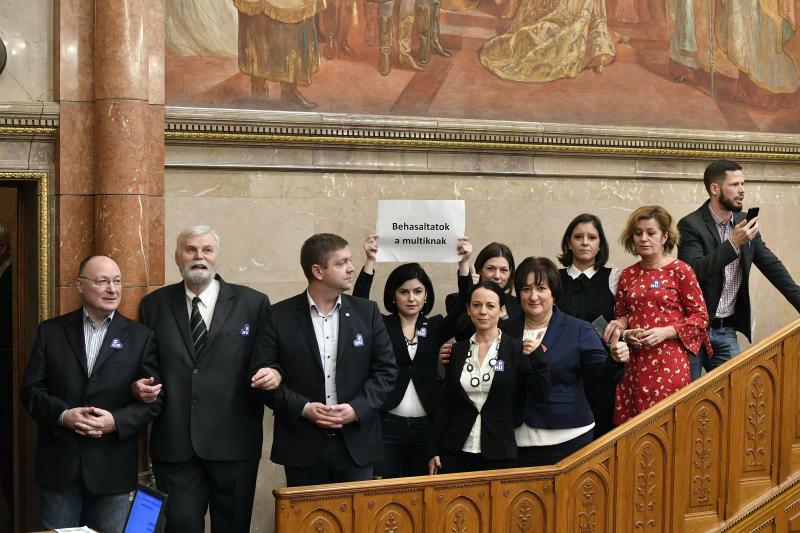 BUDAPEST, Hungary (AP) -- Dozens of Hungarian opposition lawmakers have been fined up to a month's wages for their loud disruptions and protests inside parliament in December, as deputies were voting on changes to the labor code. Trade unions and opponents have criticized the bill approved by government-party deputies as a "slave law" benefiting employers. Fines approved Tuesday by lawmakers from Prime Minister Viktor Orban's Fidesz party for 36 members of the opposition totaled the equivalent of nearly $150,000, ranging from $1,290 to $6,450 per legislator.